The Paralegal Program at EKU is approved by the American Bar Association and meets the guidelines as set forth by the ABA. Our curriculum offers students classes which focus on writing, research, communication, and critical thinking, all skills which are needed to become a successful Paralegal. As a part of our curriculum, our students are required to complete a 280-hour Paralegal internship where they will be placed with a law firm, government agency or corporation. The internship helps to provide our students with the invaluable practical experience they need to obtain and succeed in a paralegal position after graduation. EKU is proud that all of our faculty hold Juris Doctorate (J.D.) 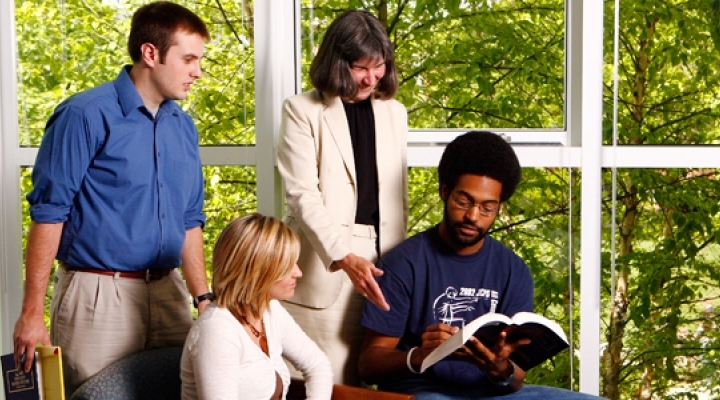 degrees and our part-time faculty are practicing attorneys, judges, and elected officials. This allows us to place faculty into teaching areas where they are most skilled, thus giving the students the best possible exposure to tasks required of a Paralegal. Our partnership with Bluegrass Community & Technical College's Leestown Road campus in Lexington and expanded course offerings at EKU's Corbin, Danville, Ft. Knox, Hazard, Lancaster, Manchester and Somerset Campuses make it easier than ever for students to earn their degrees in Paralegal Science or Paralegal Studies. We also offer all of our courses in the evenings and several of them on-line. Based on information from our alumni, 70% obtain jobs before graduation, and 90% obtain a position within 3 months of graduating. In these tough economic times, it is more important than ever to find affordable tuition. EKU offers many opportunities through Financial aid and scholarships to help offset some of the expenses associated with higher education.